Smithsonian Institute Press, 1995, Hardback in Dust Wrapper. The Life and Music of John Alden Carpenter. 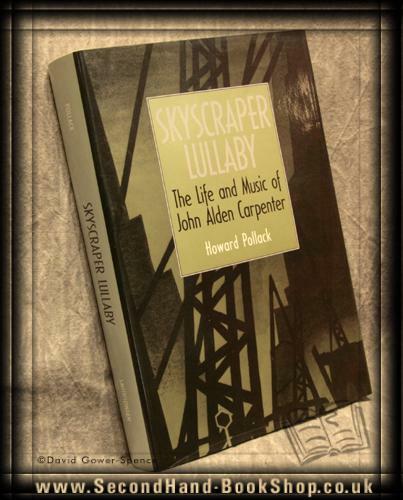 In his lifetime John Alden Carpenter (1876-1951) won a success almost unparalleled for an American composer of concert music. The most acclaimed musicians performed his works regularly, including conductors of the stature of Walter Damrosch, Karl Muck, Frederick Stock, Leopold Stokowski, Serge Koussevitzky, Fritz Reiner, Artur Rodzinski, Fritz Busch, Pierre Monteux, Otto Klemperer, Bruno Walter, Eugene Ormandy, and Werner Janssen. Size: 9¼" x 6¼". 511 pages.